It is beginning to look like fall around here if nothing else but in my outfits! 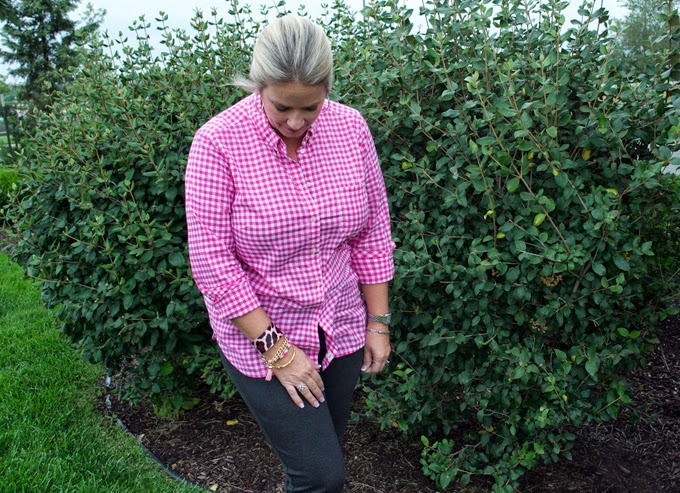 Remember last fall when I was on the hunt for the perfect pink gingham, and found it at Gap? Well it's back in rotation! Something about pink gets me every time! Sometimes I actually build my outfits from the wrist up! 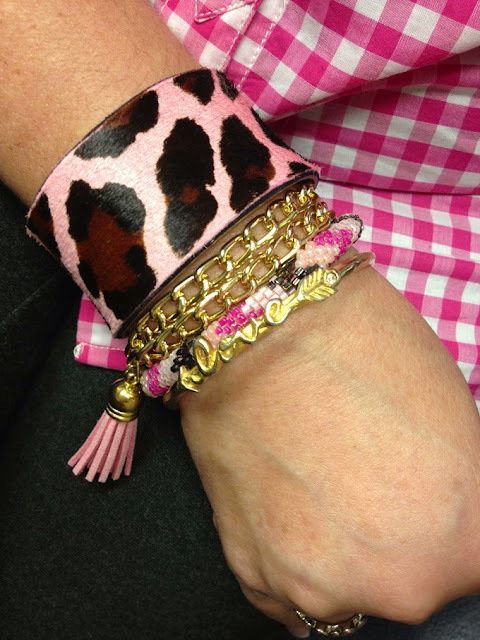 It started with my new Cathryn Ann designs tassel bracelet, added my Rustic Cuff pink leopard, and Claudia Rowe love bangle and I had the base to a great outfit! What's your go to color? Lisa you look great! We both like to accessorize that is for sure! Mix and matching bangles is always a great idea. A denim jacket would look super with your blouse! Thanks Karen. We need to plan a coffee date soon! Gorg! 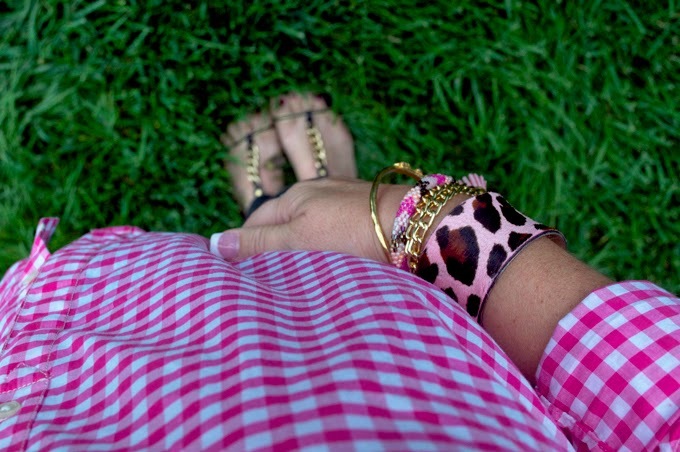 I love gingham. Always have, always will. This color is so pretty on you. 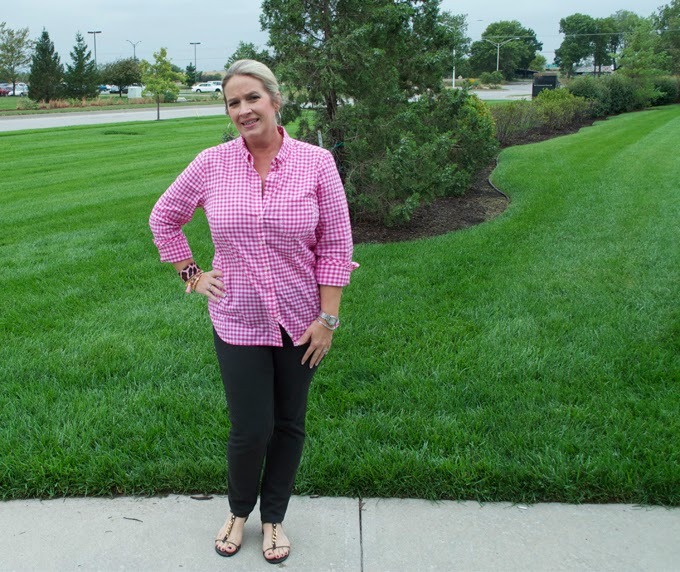 This shirt is such a fabulous color! Love it - I spotted some at Old Navy recently too.. might have to go grab one! 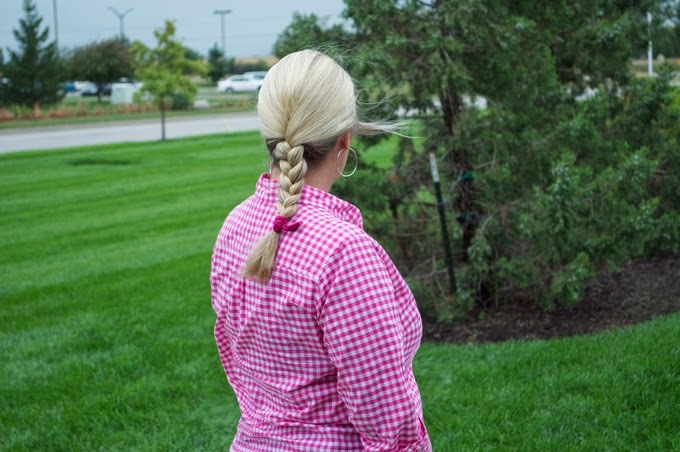 I picked up a mens gingham last season at Old Navy. Go grab one if you saw them already. You will be glad!